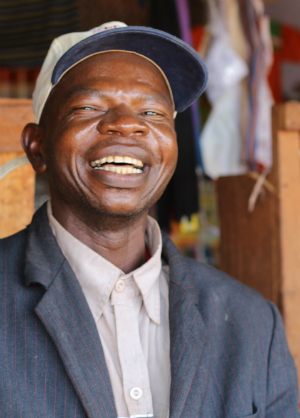 Meet Ngbanga Suya, proud owner of this small store. Before he began working with Paul Carlson Partnership, Ngbanga Suya had trouble transporting merchandise to his store. With a small loan, he bought a bike and hired someone to help him, which improved his productivity. He quickly paid off this loan, bought two more bikes, and hired two more people. He has since expanded his business to nearby markets and increased the size of his shop. 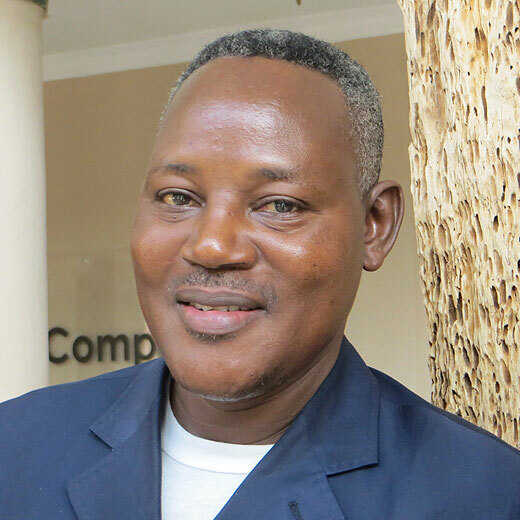 Ngbanga Suya’s courage and creativity have helped him, his family, and employees. Paul Carlson Partnership is honored to be part of his story. And as the roads that connect so many of these farmers and entrepreneurs with outside markets continue to fall into disrepair, we’re also happy to support bridge rehabilitation projects. We’re grateful for your part in this and are excited to be moving forward together! The person I’ve gotten to know best during my time here has been Texa. As a co-worker, Texa has been effective and true. During hours of conversation and a month travelling together, Texa also blessed me personally as a host, a leader, and a friend. For six years, Texa has worked as the liason between the CEUM and Paul Carlson Partnership and oversaw Farmers to Markets. As banking and communications infrastructure expand in Equateur, and as CEUM’s economic development programs grow under local leadership, it has become less important to maintain an office in the capital, Kinshasa, where Texa has served. In light of this, we are sad to announce that Texa’s formal role with Paul Carlson Partnership has ended. We are so grateful for him and I am glad to know that he will continue to provide qualified leadership in the CEUM even as his role changes. Please join us in thanking Texa. Texa has played a crucial role in Paul Carlson Partnership. Beginning in 2008, his integrity and insight were essential for visioning, planning and execution of our work. 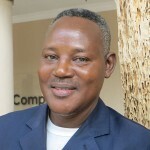 As Project Manager for the Farmers to Markets program he shared the vision of improving the lives of families in Loko and Bumba by improving their agriculture and connecting them to consumers in Kinshasa. He helped assemble the team, trained them and then held them accountable for their work. He formed a strong relationship with our USAID technical advisor that led to his active assistance and support of the program. Consequently families in the target areas saw 300-500% increases in their annual incomes. Texa was essential in his role in Kinshasa. He handled purchasing and transport of goods to Equateur, and greeted and made arrangements for visitors. Most importantly for me, he was honest and accountable for funds and followed up on how people used PCP money for projects. He was much respected across Equateur Province. Wherever we stopped, a line of people wanting his advice formed at the door morning and evening. Texa is a great example of a Christian layman—unstinting in his assistance to both local church and the denomination, a strong example of integrity, honesty, and truthfulness, and a devoted husband and father.